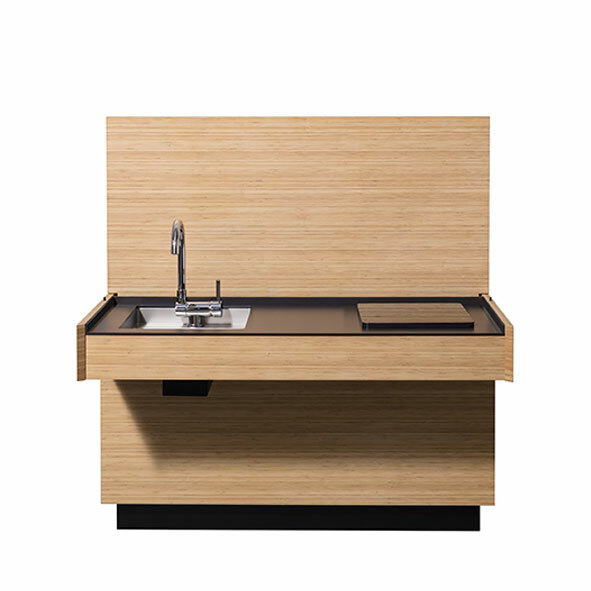 "AC 01" (Adjustable Compact Kitchen) is a compact kitchen that can be used both as a kitchen or as a piece of furniture. 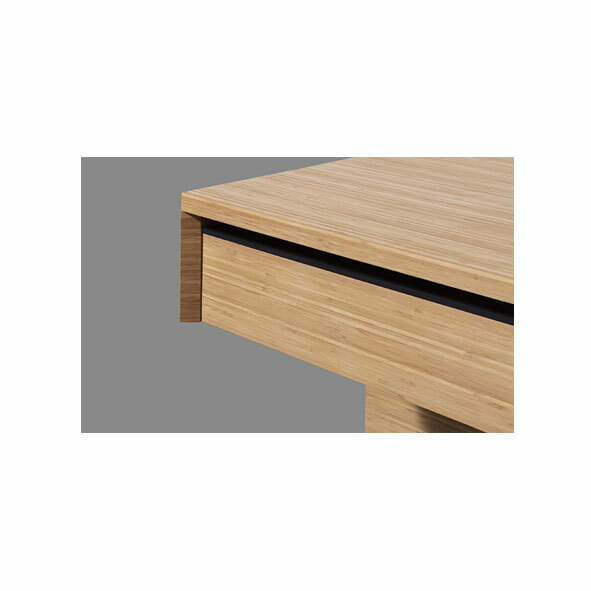 The height is adjustable using the lift function and the kitchen worktop can be concealed with a special panel as to turn it in a desktop. 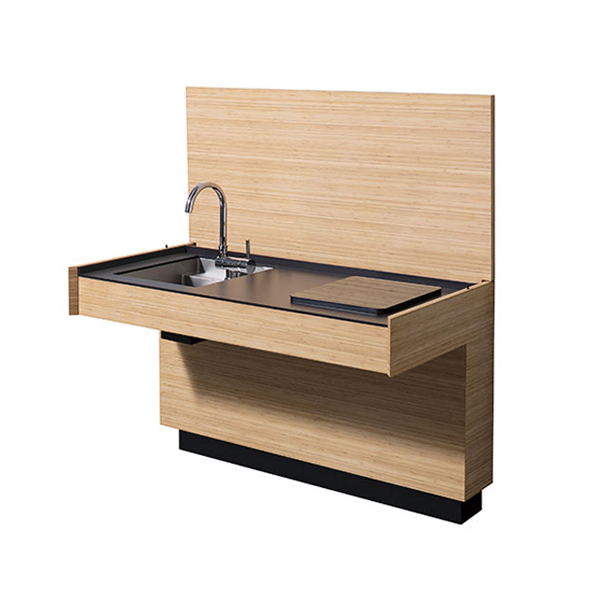 It is a versatile kitchen adjustable for various places including the living room and can be adapted to various kinds of residences and people. 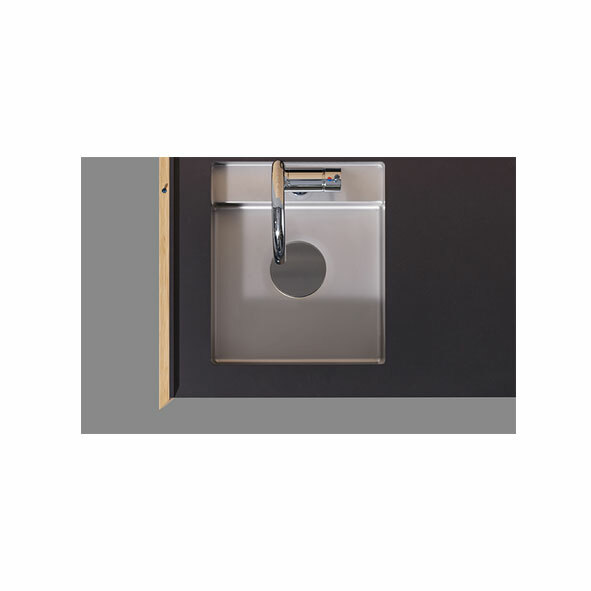 Thanks to the made-in-Japan lift function, the height is adjustable to different heights and therefore it is also suitable for wheelchair users. 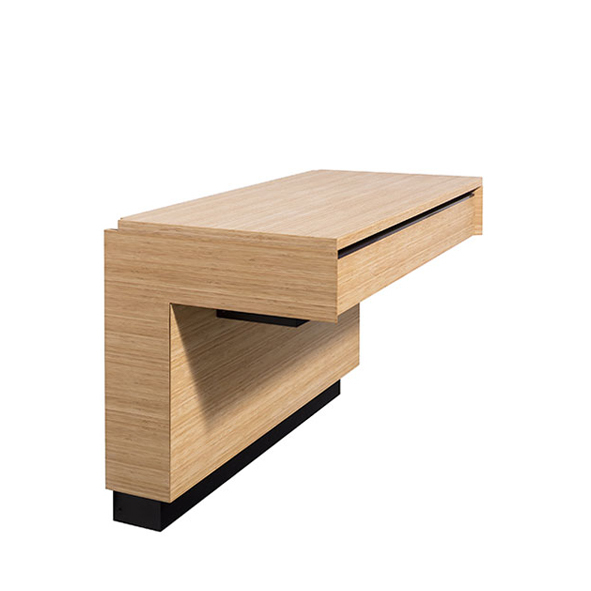 It is made of Japanese bamboo veneer and it can turn into a desk or a piece of furniture by rotating its special panel on the worktop. 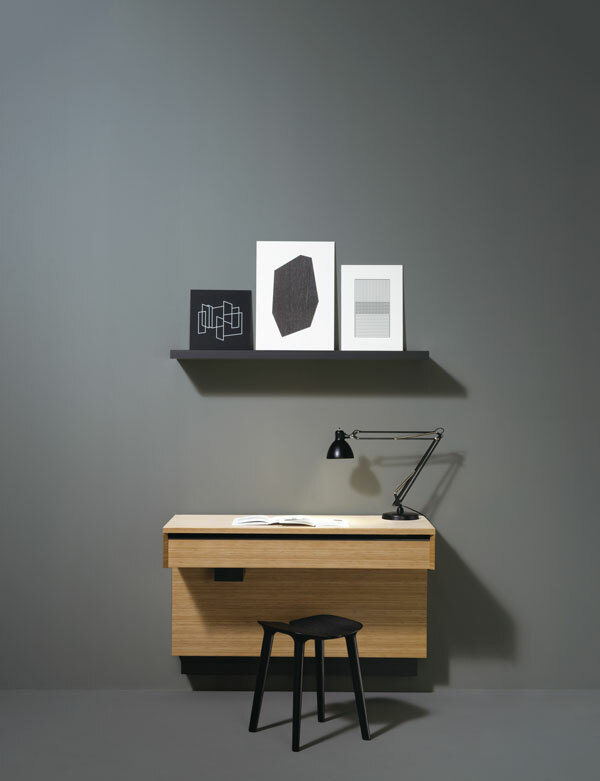 AC 01 design is a space saver that fits well in small houses without too much presence as a kitchen.